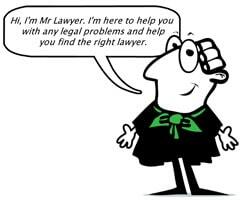 A new ‘find a solicitor’ website that prioritises lawyers with good feedback from their clients is set to go live in October. MrLawyer.co.uk takes elements of other sites and claims that as part of the next generation of such sites, it will “help to change the way the legal industry currently operates”. As with websites like Solicitor.info and the Good Lawyer Guide, it has a rating system similar to Trip Advisor; lawyers will be able to moderate and approve any comments made about them, although the star ratings cannot be changed. The launch will focus on London, with roll-out across the UK over the following year. Director Param Singh said: “The proposed rating system supports the global trend of individuals placing greater faith in societal opinions and crowd-sourcing in addition to the views of close family and friends, factors which combine in helping lay clients to make a more informed decision about whom they instruct for their matter. 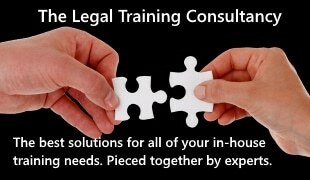 Potential clients will post their requirements and through a dashboard review and manage quotes from up to eight lawyers. The service will be free for lawyers for its first six months, after which there will be a one-off registration fee of £25; a 2.5% charge based on the quote provided by the lawyer, with a minimum charge of £5; and fixed fees of £25 and £99 for conveyancing matters and ‘no win, no fee’ cases respectively. There will be no charges for legally aided matters as part of the site’s corporate responsibility. Mr Singh argued that the development of successive ‘e-law’ websites has “incrementally helped to make it easier for lay clients to find a lawyer”, but they suffer from various faults, such as difficulties in judging the quality of service, a lack of reward and recognition for lawyers, too much focus on providing the cheapest lawyer, and closed systems. Fellow director Jasvir Degun, who is a barrister, said: “I believe that the combination of a democratic ratings system, ease of use for lay clients and solicitors alike, and a fair pricing structure will be essential to the success of MrLawyer.co.uk.